The long wait was over to all aspiring Teen Dabawenyas who've joined last Saturday, March 8 for the Pre-Qualification Screening and Interview of Miss Teen Philippines 2014 happened at The Ritz Hotel Garden Oases Convention Hall, one of Davao major sponsors. The original and the only accredited TEEN PAGEANT here in the Philippines. Upon getting into the anteroom, I've seen intensely anxious faces from both parents, guardians and the applicants. 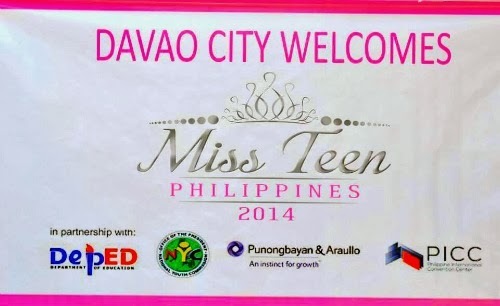 Teen Dabawenyas from different region of Davao lined up and be listed in the screening. 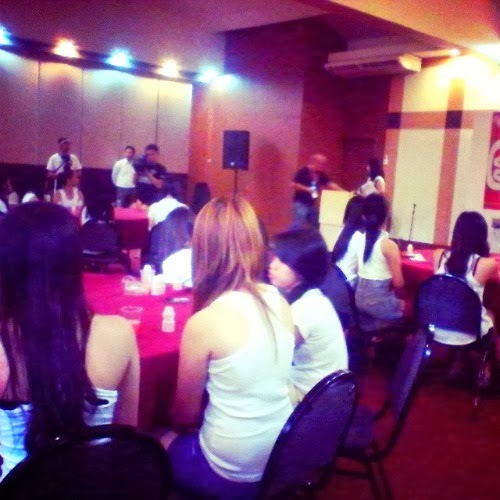 The screening started at nine(9) in the morning and while awaiting for their names to be called, applicants are given free YAKULT(MTP 2014 National major sponsor) and Davao Mobile Bar Juice(MTP Davao's sponsor)and for them to relax and slow down and not sense the nervous atmosphere surround them. YAKULT - Ok ka ba tiyan? 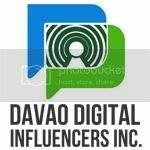 Davao reached up to 50+ applicants, that comprise the online and walk-in applicants. The judging process is the most hard and tough job during the screening. After checking all the requirements of the applicants, the judges led by the MTP 2014 Program Director Ms. Grace Hilario, The Ritz Hotel Marketing Manager Ms. Jenny Colonia and Resident Manager Mr. Alex L. Velardo will give the final judgement by asking applicants one-by-one and deliberate over who will be Davao's Top 20 Miss Teen Philippines 2014 candidates. Congrats girls and see you all this March 30 at the SM ANNEX Davao Mall of the selection for the Top 5 Davao Regional Finalists which will vie for the Ms. Teen Philippines 2014 at PICC Manila on May 31, 2014. For more BTS photos during the screening, please add/follow NIKON KNIGHTS DAVAO-Davao Ms. Teen Philippines Official Photographer.